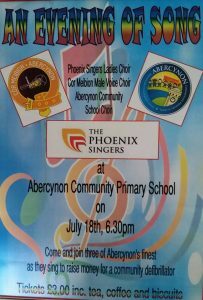 It was a pleasure to share the stage this evening with Cor Meibion Abercynon and the children of the school in a joint concert raising money for a defibrillator for the village of Abercynon. A lovely evening was had by all – the show stolen by the wonderful children. Well done children and to both choirs. Hope to do it again soon. 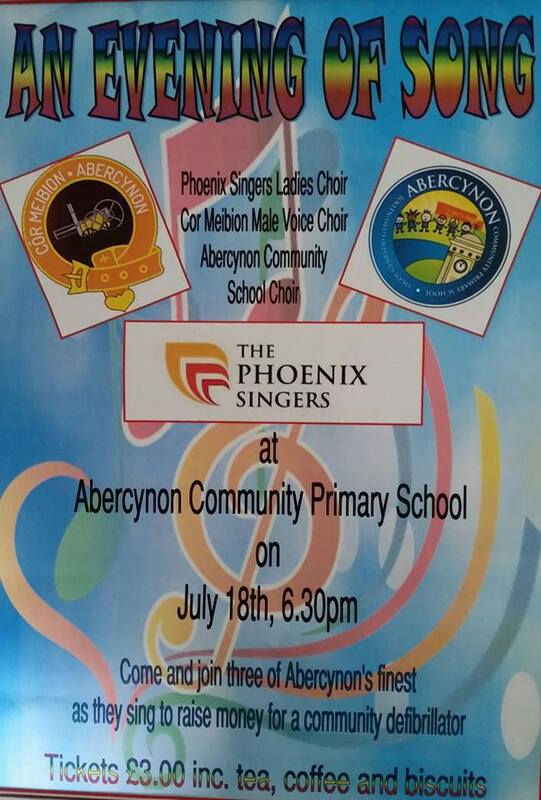 The Phoenix Singers.